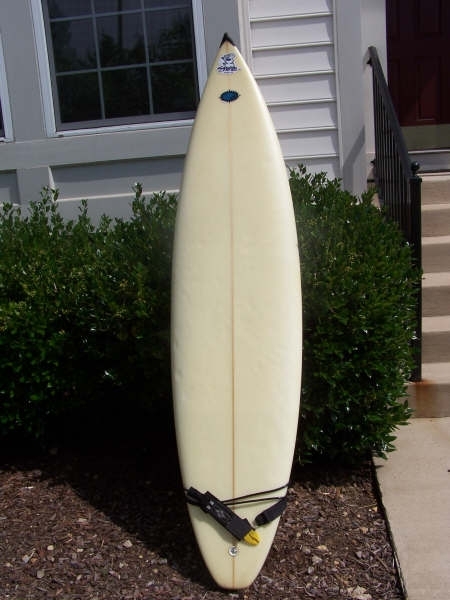 A 6’8” no-name short board I picked up in Virginia (not exactly the surfing capital of the East coast. Tri fin (fixed) configuration with a balsa stringer. 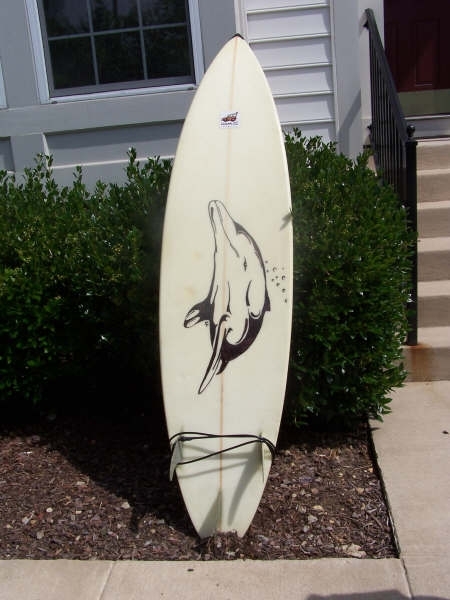 Note the funky hand drawn dolphin on the bottom of the board. This entry was posted in Quiver and tagged Surfboard. Bookmark the permalink.